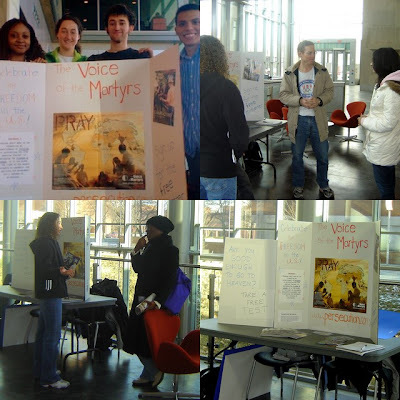 Voice of the Martyrs Campus Outreach/Evangelism Success! We are so happy to give you an update on our Voice of the Martyrs (VOM)/CCN Evangelistic Outreach events on our campuses! In our previous blog and newsletter, we informed you that we are working alongside VOM to help bring awareness of the persecuted church to college students, while actively preaching the gospel. We do this by setting up a table in a strategic location on campus, offering free materials on VOM, informing them of the persecution of Christians around the world, and sharing the gospel with the students verbally and through gospel tracts. This is part of our "Partnership Program", which is a program designed to help support the efforts of Christian ministries that provide humanitarian aid, while creating an opportunity to preach the gospel biblically and boldly on campus. See pics below from 3 of our campus outreaches! Read about this blessed experience from our outreach. A young Muslim hears the gospel for the first time! Plus, watch a 4 minute video of our IUPUI outreach. Please pray for our other campuses, which will also be hosting these special outreaches. Indiana University-Purdue University Indianapolis (IUPUI) campus outreach in January 2008. Read the above testimony of a young Muslim man, who came to college from a country where Christians are harshly persecuted. He heard the gospel and was touched by it. In fact, hear his experience firsthand in the above 4 minute video! Southwest Minnesota State University (SMSU) event. 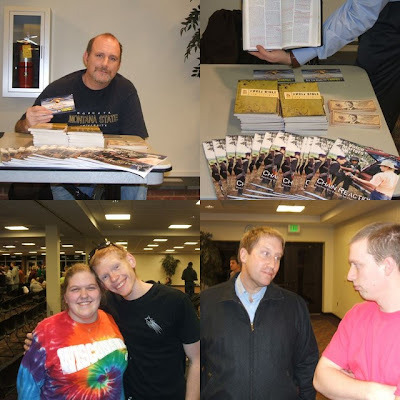 Pastor John, our Campus Leader helped promote the VOM ministry, while encouraging Christians on campus to take advantage of their American liberty to share their faith boldly and actively. 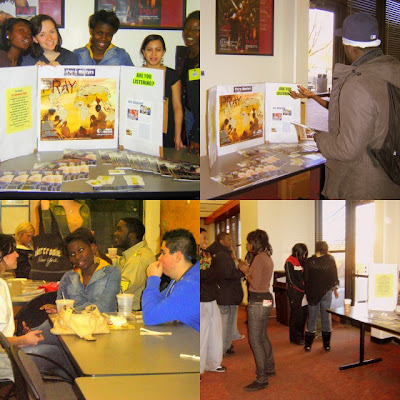 Montclair State University (MSU) in New Jersey outreach in February 2008. A young lady was so touched by the gospel message that she began to cry and thanked us for our bold witness on campus. Please keep us in prayer as the remainder of our campuses prepare for this outreach on their campus!